Congratulations to Bernadette in Australia for winning Woman with Birthmark by Hakan Nesser. It's a great read and one of the Van Veeteren series. Next, we need to keep you all going with more Giveaways, right? 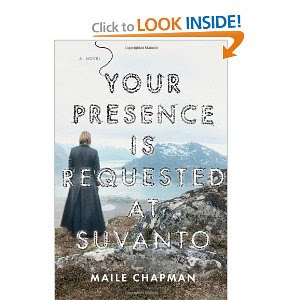 To keep the focus going on the Scandinavian Reading Challenge, the next giveaway is for Your Presence is Requested at Suvanto by Maile Chapman. This is a thrilling medical drama that takes place in Finland and is layered with darkness and fear. I've reviewed it for Graywolf Press (my review will be up this week) and up for grabs is this hardback edition. I'm making this Giveaway even easier than before! If you're already entered in the Scandinavian Reading Challenge, you're already entered! To get 1 extra entry, post a link to the Giveaway and/or Challenge on your blog, and please let me know so I can add an entry point. New visitors can enter by posting a comment, and/or signing up for the Challenge, and they can earn 1 additional entry by linking on your own blog. As far as the SRC goes, we have many participants and lots of great reading ideas. 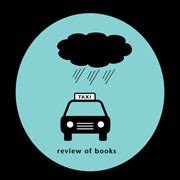 Feel free to email me your books completed so far, and I'm keeping track and compiling a list of 'what we are reading' so you can share titles and discussions if you wish. This will be up in the next week. If at all possible, make sure I have your email address as a contact. Forgive me, but I am dying to read this book! Whoever wins it, please keep me in mind as a borrower once you are finished. I am very gentle and kind to my books...and people. Sign me up for the giveaway please. Thanks Amy, I look forward to reading this book as I haven't read any books by him yet. Irene I'll happily send the book along afterwards. If you are a bookmooch member send me your user name and I'll list it there and reserve it for you when I'm done, if not just let me know a postal address and I'll send it (it'll be surface mail which takes forever to get to the US but it's a lot cheaper than air). Let me know either way at bsquaredinoz [at] gmail [dot] com. This book sounds so good. THANKS. this book sounds great! I'm going to add it to my TBR list for my challenge!